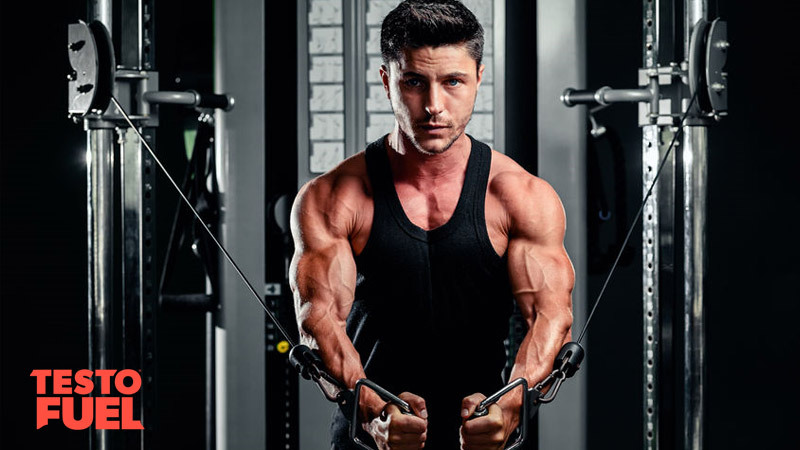 In order to optimize your male hormones you need to support your body’s testosterone from all angles. Not only do you need to exercise and lead an active lifestyle, you need to watch what you eat too. Make the right diet and lifestyle choices and your testosterone levels will soar. Make the wrong choices and you’ll be digging yourself into an ever-deeper hole of belly fat, muscle loss and weakness. One food that’s on the increase in the western world is vegetable oil. But what are the effects of this food on testosterone levels? Could it support or hinder your hormones? Vegetable oil is a collective term used to describe plant oils that are liquid at room temperature. There are a number of different types of vegetable oils, but the most common are rapeseed (canola), palm, peanut, soybean, olive and safflower. Vegetable oil doesn’t come from the actual plant material of the food, but instead it is collected from the seed. The manufacturing process for obtaining the ‘juice’ of these seeds involves high -pressure pressing to separate the fiber and oil of vegetable seeds, as well as the use of chemicals such as hexane to maximize how much oil is collected from the seed pulp. These oils are also then bleached and deodorized to give you a ‘purified’ product. Unlike butter or lard, vegetable oil is made from industrial techniques that came around at the turn of the 20th century. In the grand scheme of things, this is a relatively new way of making such products. And since the invention of industrial seed oil production, the use of vegetable oils in the US has increased ten-fold, with commercial consumption going up dramatically. Vegetable oils are essentially the triglycerides extracted from different plant seeds. Because they are obtained from seeds and not the plant itself, they don’t contain the usual nutrient-dense profile that a plant would give you. The oils are very high in fatty acids, with 100 g providing you with over 880 calories. These oils also provide a massive amount of omega 6 – a type of essential fatty acid that is now found in great amounts in the modern western diet. Obesity and long-term chronic illness are strongly associated with not just low activity levels, but poor diet choices too. There are a number of studies showing that we should have concerns when it comes to excessive vegetable oil consumption. Prior to the industrial revolution, the amount of omega 6 fats in our diet was pretty much equal to another type of fatty acid – omega 3. But as vegetable oil production increased, so did omega 6 intake – at the expense of omega 3 consumption. The problem is that omega fatty acids ‘compete’ for the same receptors – so a higher level of omega 6 in the diet means a higher level in cells. During the 1980s, the ratio between omega 6 and 3 intake rose to around 4:1. But now it’s more likely to be as high as 20:1 nowadays. Omega 3 fatty acids have a potent anti-inflammatory effect. Excessive omega 6 intake however has been found to be pro-inflammatory. A study published in Biomedicine and Pharmacotherapy  suggested that whilst high levels of omega 6 fats promote inflammatory disease, diets high in omega 3 have a suppressive, health-giving effect. KeyPoint: Excess vegetable oil consumption is linked to an increase in long-term inflammatory disease risk. 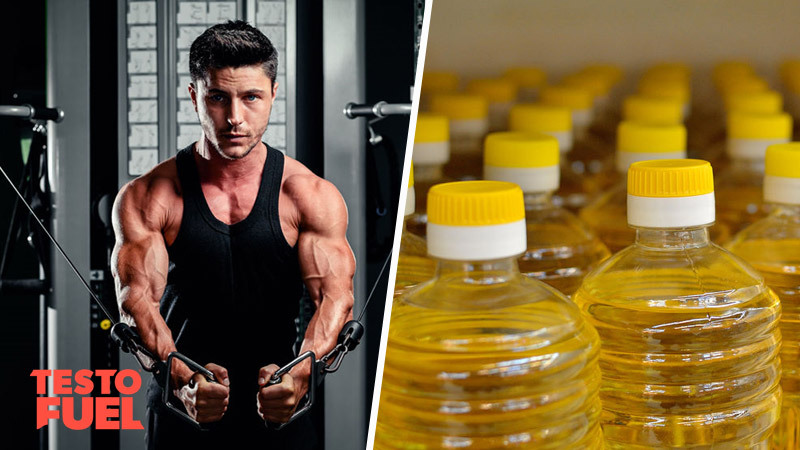 Does Vegetable Oil Affect Testosterone Levels? Omega 3 is typically found in foods that are high in the testosterone-boosting nutrient vitamin D.
So whilst omega 3 may be related to the nutrients that elevate male hormone levels, omega 6 is definitely not. A study published in the Journal of Applied Physiology  found a strong link between the amount of PUFA fats consumed in humans and testosterone levels. The study reported that whilst total fat intake and saturated fat intake helped to boost T levels in the sample of 12 active men, higher levels of omega 6-rich PUFA fats had the opposite effect. Could vegetable oil be causing a decline in sperm count too? Many people believe that consumption of vegetable oils is healthy – most likely because it has the word vegetable in it. But this food may be contributing to the ever-decreasing male fertility issue experienced in countries such as North America and Europe where there’s been a drop in sperm count of 50-60% within the last 50 years . And although declining sperm numbers is most likely due to a number of different factors, the correlation between vegetable oil consumption and fertility rates is strong. There are a number of animal studies that show a high omega 6/3 ratio has a negative effect on reproductive tissue. One of these studies, published in Theriogenology  found that a high Omega 6/3 ratio was negatively correlated with sperm motility, viability, normal morphology of testicular tissue. And another study found that higher sperm counts were associated with a more balanced intake of omega 3 and 6 fatty acids . Key Point: PUFA fats – found in high levels in vegetable oils – will decrease your testosterone levels. The foods you choose to eat can have a drastic effect on your testosterone levels. Since the industrial revolution, consumption of vegetable oil has increased dramatically. And as such, so has the consumption of PUFA fats and omega 6 fatty acids. There is an ever-increasing number of research studies that show high consumption of omega-6 fats are inked to inflammatory disease as well as decreased testosterone. We suggest keeping your vegetable oil intake to a minimum in order to optimize your testosterone levels.